Students walk across the Illinois State University Quad. Enrollment at ISU was down less than 1 percent this year, though the freshman class grew up by 10 percent. Universities are still trying to shake off the hangover of the two-year budget impasse—an unprecedented period of uncertainty that drove even more Illinois students to out-of-state colleges. A budget finally did pass a year ago, but that wasn’t enough to stop enrollment declines at several campuses this fall. Western Illinois University and Southern Illinois University at Carbondale saw the steepest enrollment declines this fall, according to data collected by IPR from nine Illinois campuses. The WIU and SIUC freshman classes are down more than 20 percent from a year ago—a steep drop that can compound in future years as students drop out or transfer to another institution. Here’s a closer look at fall 2018 enrollment at nine Illinois campuses. Data from Chicago State and Governor’s State universities were not available. It was a different story at Eastern Illinois University, which became a bit of a whipping boy during the budget stalemate. That’s because EIU lost nearly a third of its students between 2013 and 2017. There were layoffs and furloughs. When people speculated about whether Illinois had too many universities for too few students, it seemed like Eastern was what they were talking about. But this fall, the freshman class of nearly 800 students is up 25 percent from a year ago. Overall enrollment in Charleston is up 7 percent. Eastern officials say they did it by introducing several new majors and by hiring a marketing firm to rework its recruitment materials, among other initiatives. EIU Admissions Director Kelly Miller said the budget impasse contributed to the trend of students attending college out-of-state. And that's more than just a budget. This year lawmakers created a new $25 million merit-based scholarship program and provided more year-to-year stability for the Monetary Award Program. Will that be enough to reverse years of damage to Illinois higher education? 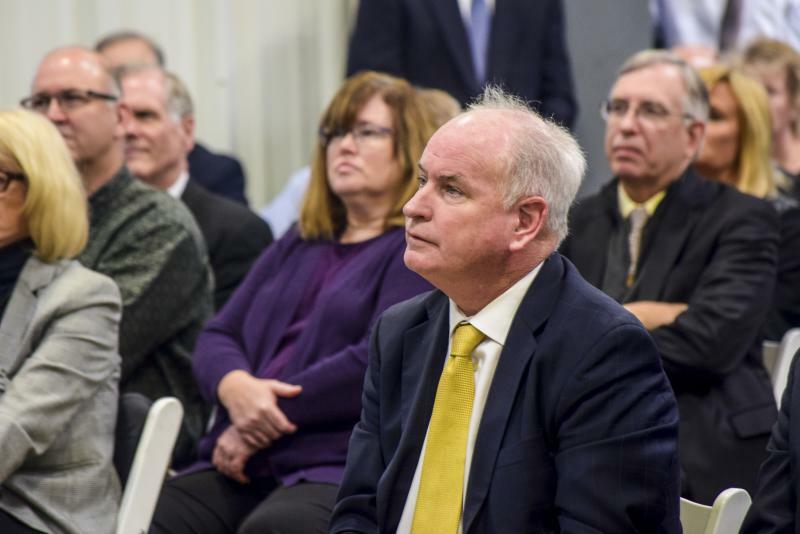 “I think they’re a step in the right direction,” said state Rep. Dan Brady, R-Bloomington, who serves on the bipartisan Higher Education Working Group that helped craft those bills. That group is now turning its focus to a new higher ed funding formula, similar in scope to the new one for K-12 schools. That wake-up call is louder on some campuses than others. Total and freshman enrollment dropped this fall at both Southern Illinois campuses—Edwardsville and Carbondale. Carbondale's larger decline pushed Edwardsville to top its sister institution in total students for the first time. Western’s freshman class this fall is less than a thousand students, down 22.5 percent from a year ago. It’s lost a quarter of its student body in just six years. 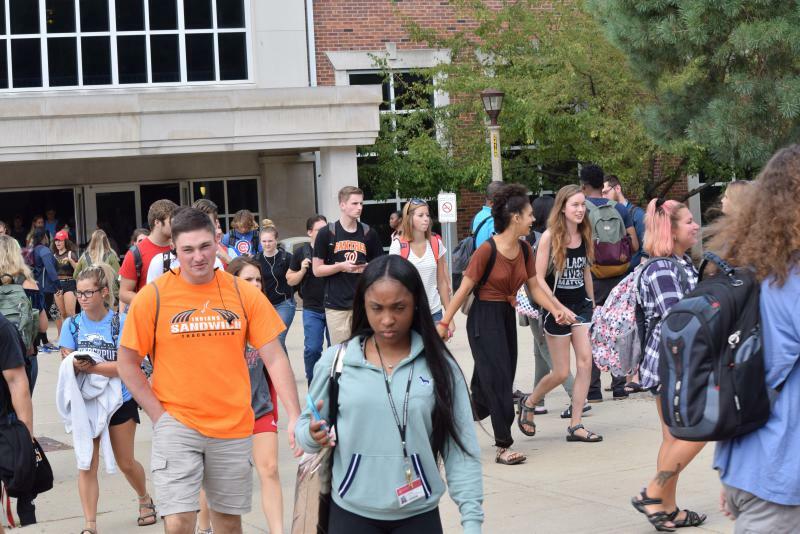 Western’s Assistant Vice President of Academic Affairs Ron Williams said it could've been worse; early estimates in March predicted freshman enrollment would be around 800. They ended up at 934. “There’s a lot that has happened, and we try to be as optimistic as possible and not continue to focus on the past, but of course we do have to take a snapshot of the past in order to chart a course for the future. While we are not ecstatic at where enrollment is, we are pleased that we are ahead of where we thought we were going to be,” Williams said. While enrollment is steady at University of Illinois at Urbana-Champaign and Illinois State University, one challenge most campuses share is out-of-state recruiters trying to poach Illinois students. Illinois is the No. 2 exporter of college students, behind only New Jersey, according to the Illinois Board of Higher Education. In 2016 (most recent data available) Illinois lost nearly 20,000 students to other states. That's the size of an entire ISU or Northern Illinois University campus. To counteract that, UIUC recently announced a free tuition and fees program for admitted Illinoisans whose family income meets or falls below the state median. Freshman enrollment at UIUC rose to 7,609 this fall, an increase from last fall of 1.2 percent. And roughly 8 of 11 freshmen come from within Illinois, another increase. Director of Undergraduate Admissions Andy Borst said the rise in in-state enrollments is gratifying. 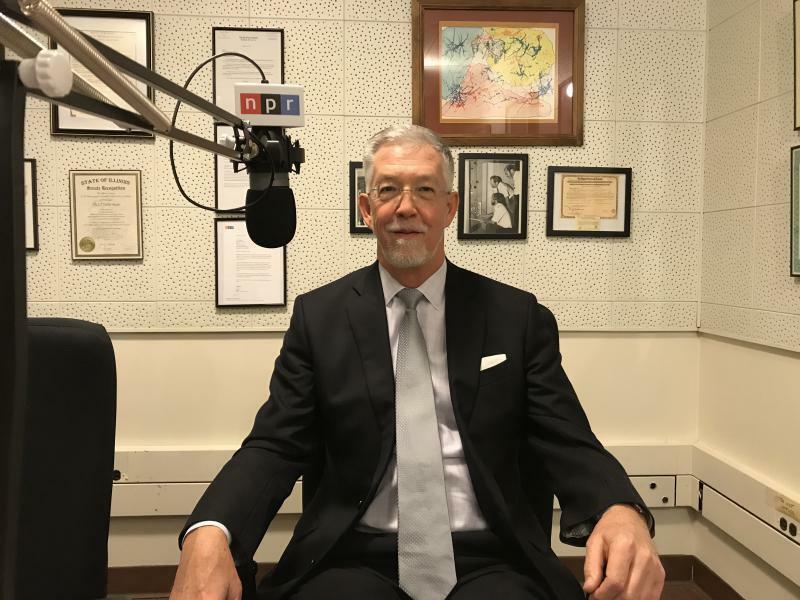 “While outmigration is a concern for this state, it was a nice indicator to see that there are still a lot of highly qualified in-state students who are deciding to stay in-state,” said Borst. Recruitment for the fall 2019 class is now underway. Students will soon be applying, getting admitted, and making decisions about where to go—in Illinois or somewhere else. IPR's Jennifer Fuller, Anna Casey, Emily Boyer, Sean Crawford, Chase Cavanaugh, and Jim Meadows contributed to this report.